An excerpt from 'Jobonomics: India’s Employment Crisis and What the Future Holds'. Dinesh is an accidental farmer. 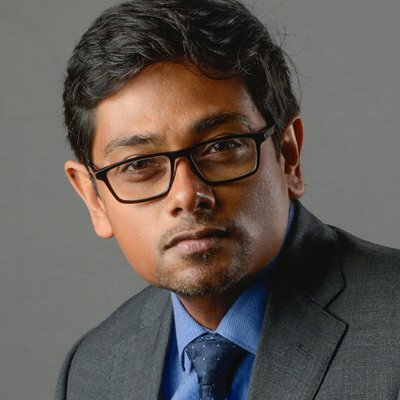 He graduated with a BSc in physics from a government college in Thiruttani and then studied law from a college affiliated to Pondicherry University. He cannot practise law because of a ‘police case’. One night, a neighbour got tipsy and attacked Dinesh. Dinesh argues that he had no choice but to retaliate. The five acres of family land became his only source of income. Dinesh saw neighbours, including Anandan, growing eggplants and selling them for ₹30 a kilogram. On the face of it, Tamil Nadu’s appetite for eggplants made a case for farming it – there are at least 15 popular dishes that use the vegetable. In ennai kathirikai, brinjals are stuffed and sautéed; there is gothsu, a side dish for idli or pongal; brinjals can be stir-fried with a crispy masala for podi kathirikai; and they can go into making poricha kuzhambu, a vegetable-based lentil dish. Dinesh invested ₹40,000. The return: zero eggplants. 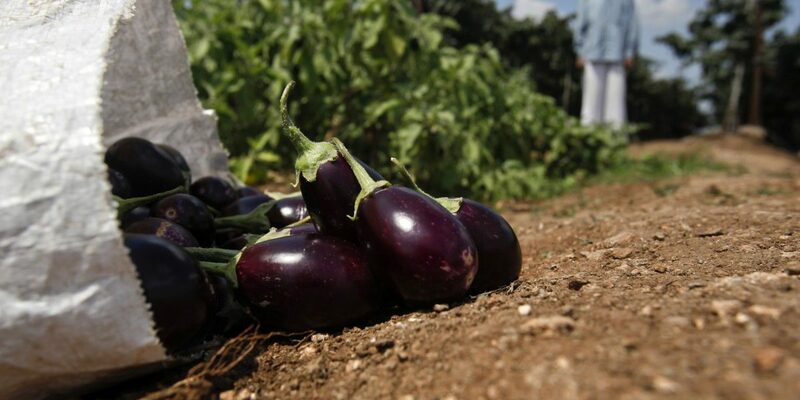 The Tamil Nadu Agriculture University lists six known diseases that wilt, stunt, yellow and finally kill brinjals. The university’s portal suggests using varieties that are tolerant to specific diseases. Dinesh, however, knew nothing of the diseases or how to prevent them. Dinesh doesn’t remember whether all 10 farmers used the same pesticide. He couldn’t recollect the names of the pesticides he was recommended either. The young farmer then invested in growing ladies fingers, but couldn’t sell them at a good price. He was next advised to try fish farming. He could sell viral, catla, rohu for ₹80 a kilogram to middlemen. The investment, this time, was ₹50,000 to make artificial ponds. The fish grew, and grew well. One day, they all disappeared. Dinesh is now saddled with loans of ₹4 lakh from local lenders. He has to pay interest of ₹12,000 every month. A stable, non-farm income would make his life easier. Right now, he is leaning on his wife, Kalpana, for support. She has just started working at a stationery store that is also a photo studio. The road to the store, in the town of Poondi, passes by a reservoir that is the source of water for Chennai, which is about 70 kilometres from the town. A large poster announces a marriage. It shows an image of the couple tying the knot. To the left of the couple, Tamil movie superstar Joseph Vijay beats a drum. Vijay’s father, a director, is also in the poster. To the right of the poster are images of two men – they are members of Vijay’s fan club and have probably sponsored the placard. Completing the assembly is an image of Bhimrao Ramji Ambedkar, the architect of India’s constitution who, in this part of the state, is celebrated for his campaigns against social discrimination. Ambedkar statues are a common sight in many marketplaces. Kalpana’s store is in a marketplace, next to a bus stand. Making marriage albums is her daily bread and butter. She also sells bindis, bangles, pens and markers. Life was far better until a few years ago, after she made a transition from farm to working in an industry. She grew up in a village in Ariyalur district of Tamil Nadu, about 200 kilometres from Chennai, along with eight siblings. The family didn’t own any land; she worked in the fields as a labourer. Her five sisters went to cashew nut factories where they broke shells and segregated the good nuts from the bad. One day, Kalpana saw a television advertisement that said Nokia was recruiting. She applied and was picked to be in the assembly line at the company’s Sriperumbudur factory, the world’s largest mobile phone plant with 8,000 permanent employees. At its peak, the factory produced more than 15 million phones a month. But two tax disputes with the government, totalling ₹17,658 crore, caused the company to shift production to Vietnam. In the process, it had to fire many workers. When Kalpana joined in 2009, her starting salary was ₹3,500 a month. By the time she was let go, around 2014, she was being paid ₹16,500. 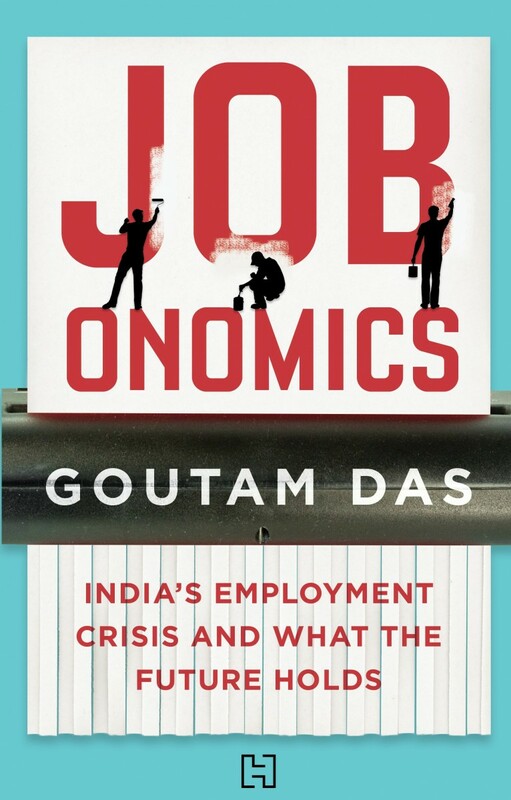 Excerpted with permission of Hachette India from Jobonomics: India’s Employment Crisis and What the Future Holds by Goutam Das.